NanoRobots no bigger than a cell could be mass-produced using a new method developed by researchers at MIT. The microscopic devices, which the team calls “syncells” (short for synthetic cells), might eventually be used to monitor conditions inside an oil or gas pipeline, or to search out disease while floating through the bloodstream. The key to making such tiny devices in large quantities lies in a method the team developed for controlling the natural fracturing process of atomically-thin, brittle materials, directing the fracture lines so that they produce miniscule pockets of a predictable size and shape. Embedded inside these pockets are electronic circuits and materials that can collect, record, and output data. The system uses a two-dimensional form of carbon called graphene, which forms the outer structure of the tiny syncells. 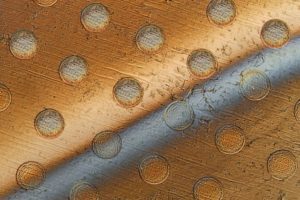 One layer of the material is laid down on a surface, then tiny dots of a polymer material, containing the electronics for the devices, are deposited by a sophisticated laboratory version of an inkjet printer. Then, a second layer of graphene is laid on top. People are exploring the use of 3D printing for wide-ranging applications, including manufacturing, medical devices, fashion and even food. 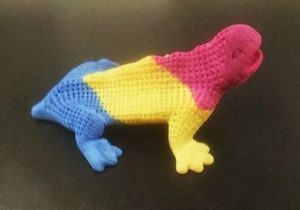 But one of the most efficient forms of 3D printing suffers from a major drawback: It can only print objects that are gray or black in color. Now, researchers have tweaked the method so it can print in all of the colors of the rainbow. The researchers designed gold nanorods to strongly absorb in the near-infrared region of the spectrum while being almost transparent to visible light. They coated them with silica and then mixed them with polyamide powders to print 3D objects. They found that the gold nanorods were much better at converting light from the laser to heat than carbon black, the industry standard. Also, the new photosensitizers could produce much whiter and — when mixed with dyes — brightly colored 3D objects. Importantly, the materials are cost-effective for large-scale production. 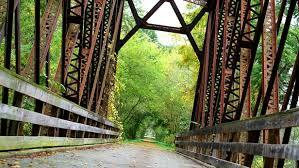 The researchers have filed several patent applications related to the new technology. The findings are reported in the ACS journal Nano Letters. The research was conducted at the Center for Computational Engineering and Sciences (CCES), one of the Research, Innovation and Dissemination Centers (RIDCs) funded by FAPESP, and during a research internship abroad that was also supported by FAPESP via a specific scholarship. Douglas Soares Galvão, a researcher at CCES and one of the authors of the study, told Agência FAPESP about the discovery. “The material we synthesized can act as a photocatalyst to split water into hydrogen and oxygen, so that electricity can be generated from hydrogen, for example, as well as having several other potential applications,” he said. 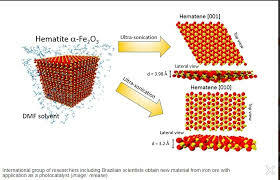 Most of the 2D materials synthesized to date were derived from samples of van der Waals solids. 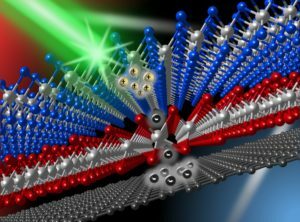 Non-van der Waals 2D materials with highly ordered atomic layers and large grains are still rare,” Galvão said. 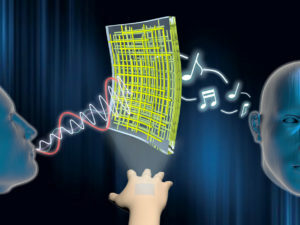 The innovation is described in an article published in Nature Nanotechnology. Now, two researchers from the University of Kansas (KU), Professor Hui Zhao and graduate student Samuel Lane, both of the Department of Physics & Astronomy, have connected a graphene layer with two other atomic layers (molybdenum diselenide and tungsten disulfide) thereby extending the lifetime of excited electrons in graphene by several hundred times. The finding will be published on Nano Futures, a newly launched and highly selective journal. For electronic and optoelectronic applications, graphene has excellent charge transport property. According to the researchers, electrons move in graphene at a speed of 1/30 of the speed of light — much faster than other materials. This might suggest that graphene can be used for solar cells, which convert energy from sunlight to electricity. But graphene has a major drawback that hinders such applications – its ultrashort lifetime of excited electrons (that is, the time an electron stays mobile) of only about one picosecond (one-millionth of one-millionth of a second, or 10-12 second). The KU researcher said one of the biggest challenges to achieving high efficiency in solar cells with graphene as the working material is that liberated electrons — or, the standing students — have a strong tendency to losing their energy and become immobile, like students sitting back down. To achieve this goal, working in KU’s Ultrafast Laser Lab, they designed a tri-layer material by putting single layers of MoSe2, WS2 and graphene on top of each other.